The test taker’s response to the prompt is evaluated on all aspects of content. Whether or not the response includes relevant and supporting details, appropriate examples and explanations in line with the test taker’s perspective. The maximum score of 3 is awarded when the response deals with the prompt in a satisfactory manner. 2 is awarded if the content deals with the response inadequately but neglects one minor aspect. The response is awarded 1 if the response fails to deal with more than one aspect or one major aspect. 0 is awarded when the response fails to deal with the prompt in a satisfactory manner. Formal requirement refers to the length requirement of the response. Word count for an ideal response varies between 200-300. Any response with less than 120 words or more than 380 words gets disqualified and is awarded a zero right away. 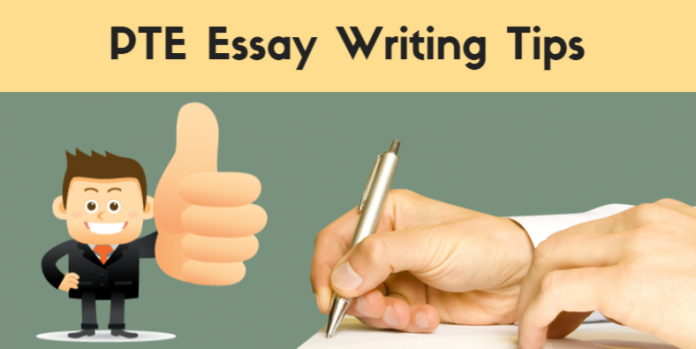 A response between 200-300 words is awarded 2 which is the maximum score. 1 is awarded if the length of the response is either between 120 to 199 words or 301 to 380 words. Besides if the response is of less than 120 words or more than 380 words, it is awarded a zero also when it consists of just bullet points or very short sentences. Development, structure & coherence in a response is scored on the basis of the demonstration of thoughts & ideas and logical structure. The maximum marks awarded for this trait is 2 and the minimum is 0. If the response demonstrates a logical structure and good development of ideas, it is given a 2. It’s awarded 1 if the test taker fails to structure it well and some constituents are inappropriately linked. Lack of coherence, development of ideas and a logical structure invites a zero. The response is expected to be grammatically correct throughout for a perfect score. If the response demonstrates excellent control over grammar and there are hardly any easy to spot errors then it’s awarded a 2. A response with fairly good control over grammar that doesn’t have any mistakes which could alter the meaning or cause misunderstandings is awarded 1. Zero is awarded to a response to several mistakes and/or simple sentence structures. This item trait is evaluated and awarded a score on the basis of how precisely the response conveys the test taker’s ideas. Again, rated on a scale of 0 to 2, 0 being the lowest and 2 being the highest. The response is given a 2 If the test taker was able to demonstrate expression of his/her ideas in a lucid manner with an emphasis on critical aspects and elimination of any sort of ambiguity. If the essay demonstrates a fair range of linguistic range, crystal clear expression of view and ability to present arguments, it will be given 1. On the other hand, a response which consists of basic language and lacks precision is awarded 0. Test taker’s vocabulary range is deemed good if the essay demonstrates good lexical range. 2 is awarded when the response consists of the good use of idioms, phrases, and colloquial expressions. If the essay shows fairly good vocabulary related to general academic subjects, but there are lexical deficiencies leading to imprecision, then the response is awarded a 1. The response is awarded a zero if it contains basic vocabulary and the vocabulary range is not found up to the mark to deal with the topic. Self-explanatory as it is, the response is graded on the basis of correct spellings. If all words used in the response are spelled correctly, but there are just one or no typing errors at all. If there is one incorrectly spelled word and/or multiple typos, it will be given a 1. Multiple spelling mistakes and plenty of typing errors will result in a zero.